Are you married to a perfectionist – or considering marriage to a perfectionist? This book may be the very help you need. This post is an experiment. Read on to learn why. There are many theories on how long a sales page needs to be in order to be effective. I’ve tried all lengths and have gotten mixed results on all of them. I have discussed this for years with my webmaster, Renee, creator of a book blog, so she knows a bit about books. We have come to the conclusion that the length of a sales page depends on several things. One, if you are introducing a new product or program that people have not heard about, it makes sense to give them enough information so they will know whether they might be interested. Two, if you have improved a product or program that has been around for awhile, you may need to explain why it is better. 1. Is the topic of interest to me? 2. Does the author have experience in that area? 4. How easy is it to purchase the book? Since today I am doing an initial launch of How to Love a Perfectionist Without Going Crazy, I’ve decided to go with the short version of the sales-page-length controversy. In fact, since it isn’t terribly long, I am including the entire sales page in this blog post. It is not something I have done with some of my other books, so this can be a trial. What you’ll read below covers the five points above. It doesn’t cover Number 5, testimonials, because this is a very new book. But for the first five people who buy the book and give me a testimonial, I will send them a link to the digital version of Ask Yourself Questions and Change Your Life or Healing Relationships is an Inside Job. Is Your Relationship to a Perfectionist Driving You Crazy? As a “recovering perfectionist” I have written a great deal on perfectionism for perfectionists. 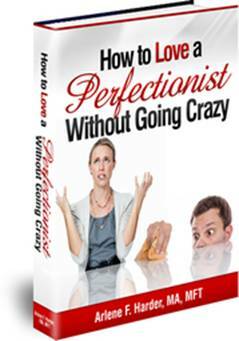 Now I have written an ebook for the person who lives with, or loves, a perfectionist. I hope that it will help you help your spouse — or other close relative or friend — become a recovering perfectionist more quickly than I was able to do. Are you married to a perfectionist – or considering marriage to a perfectionist? Does that person ask you to do more and meet higher standards than are really necessary? Is your relationship failing because you are tired of being the cheerleader of someone with impossibly high goals and low self-esteem? Do you feel you always have to give in in order to keep the peace? Do you have a relative or friend who is struggling in a relationship with a perfectionist? Are you ready to turn around your relationship with a perfectionist? If you are, this is the book for you. Go to the How to Love a Perfectionist Without Going Crazy page on Support4Change and learn how to live with—and love—a perfectionist without needing to go crazy in the process.